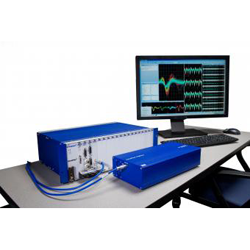 The OmniPlex D System is a compact, flexible platform for high performance data acquisition and powerful online spike sorting. It offers low latency, superior common-mode rejection amplification and is well known for its user-friendliness. 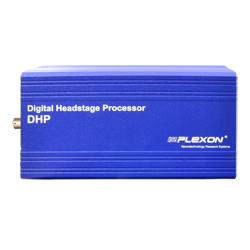 The Digital Headstage Processor (DHP) for use with digital headstages is Plexon's most advanced subsystem. 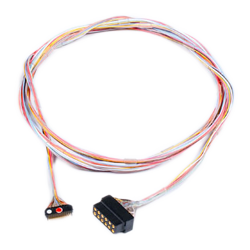 The DHP enables up to 512 channels of neural recording, decreased sensitivity to ambient electrical noise, and lighter headstage cables with fewer wires for greater freedom of animal movement. 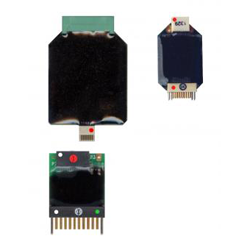 Plexon Headstages are available for either high or low-impedance electrodes, in various pitch, pin and channel counts. Headstage cables are available in a variety of options including: wire gauge, cable wraps, lengths, connectors and configurations. The proper build will improve the quality of your recordings as well as protect your investment. 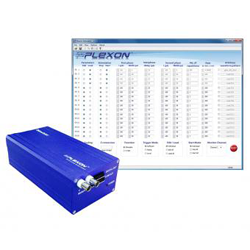 The PlexStim™ electrically isolated, individually programmable, 16 channel, constant current stimulator system is compatible with Plexon's OmniPlex® data acquisition systems and/or the CinePlex® Behavioral Research System.